My name is Kay Sorensen. I was honored to be invited to be a guest blogger. I began blogging in September to share my quilts with more people. I don’t particularly like to write so didn’t think I’d enjoy it. I also thought you had to blog right away in the morning as that is what my friends do. I am not a morning person – never was, never will be! I’m an evening blogger! I am thoroughly enjoying the experience. I also find it is a great way to document my work and experiences. I always include a lot of pictures. I try to include a JigZone puzzle of one of my quilts each day. I know many of you are addicted to them! I share a variety of things on my blog, most related to quilting. Occasionally I include other important things: family, friends and my other artistic endeavors. On January 25, 2009 my solo show opened in Kenosha, Wisconsin at the Anderson Arts Center. Quilts: Another Dimension includes my work as well as the work of 4 other talented artists. I am showing The Colors of My Life Series and my June series. I have 39 quilts in the show plus over 20 in the gift shop. The show runs through March 29th, 2009. The Anderson Art Center is conveniently located right on Lake Michigan about 45 minutes from Milwaukee, Wisconsin and 1 hour from Chicago. It’s definitely worth the drive. It is a gorgeous old mansion and I am so honored to have my second solo show there. It is the perfect place to showcase art. The show information is posted on my blog. The show opening and the attendance to date have been a huge success. I hope you will visit my blog. I welcome your comments on any of the posts on my blog, even those from last year. I read them all and try to respond to each one. I have posted photos from the show and will continue to post them, a few at a time. I have been a serious quilter for over 30 years. I am fortunate to live in a part of the country with quilting organizations with top-notch speakers and workshops. I’ve traveled to various classes, symposiums and seminars. I enjoy nothing more than doing my own research and development and coming up with new or better ways to do things. For over 35 years I taught at our technical college and also in my studio. I’ve had students who took classes from me for years and kept wanting more so I came up with more for them. I owe them a debt of gratitude for pushing me to be where I am today. I’ve also traveled around our area and the country giving lectures, style shows and presenting workshops. My Blue Ribbon pattern line consists of my original design Wearable Art patterns. Although I have not had time to actively market them recently, stay tuned to my blog for limited availability soon. My specialties are COLOR and efficient methods. I have originated several original techniques as well as many original designs. When I first started quilting my goal was to make one of every quilt block there ever was! How little I knew. My quilting preferences have varied over the years. I love all types of quilts from the most primitive antique quilts to the most cutting edge contemporary quilts. I believe one of the reasons quilting has remained so popular is because there is a place for everyone from beginners to accomplished quilters to collectors. One of my most satisfying accomplishments was making a king size charm quilt for each of my grandchildren for the Millennium. You can read about this on my blog. On my blog post from January 31st I have posted a photo of my extensive fabric collection This is for you to share with anyone who doesn’t understand why you NEED all that fabric. You have my permission to share it with the understanding you include my blog address and name. You may also copy the picture and place it on your blog if you include my blog address as the source. I am at a point in my life where everything I have learned is falling into place and I am creating my best work. I hope you will enjoy following along this journey with me on my blog. My mother has been quilting for years and saw your quilts at the Anderson museum on Monday. She is ready to kick her quilt-making up a notch and would like to take a class with you because of your colors, the dying and the quilting. Could you send me information on classes you’ll be offering in the area? She lives in Delavan. Denise Oyama-Miller is one of my best friends and a fellow artist. I know she did not give you permission too copy her flamingo image and post it on your blog. No copyrighted image by another artist should be copied, turned into a puzzle, or anything else without their written permission. Thanks for your comments. 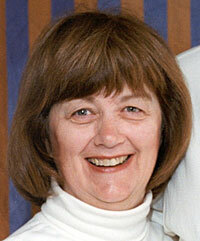 Kay Sorensen is a guest blogger on my site. I don’t see a puzzle in the blog post she wrote for me, so I’m not sure what image you are talking about. I’ve copied Kay on this message so that she can respond to you.